I have taken massive amounts of photos during this four day event. I haven’t even had a chance to edit them all yet. If you have read my posts on day one and day two, then day three and four were pretty much the same on the airplane front. However, I hung out with Amor so there was a completely different vibe to the last two days. 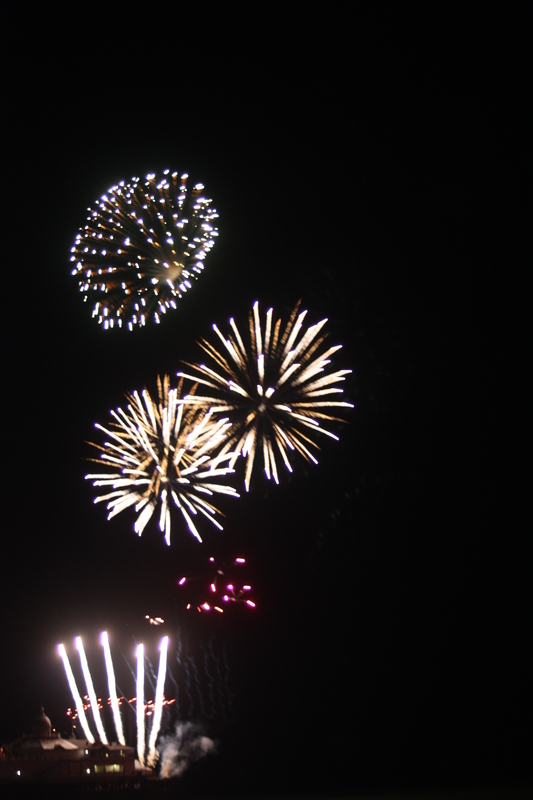 Rather than post masses of photos or collages, I will add a few of my favourites and show you a few shots of the fireworks. Enjoy! Today started off cloudy, so my hopes were high for a nice day. It did clear up for a while, but then it became overcast and eventually we had showers on and off throughout the day. Lucky for me my spot is near some shelter! I also made sure I dressed in layers as I got a bit chilled yesterday. It was a good thing I did, because it did get a bit nippy at one point. I meandered through the town centre and turned right at The Pier. I thought I would have a look at the concessions and see what they were selling: sunglasses, binoculars, toys, clothes, chairs, food (burgers, sausages, etc. ), beverages, pretty much the same as last year. The most interesting tent that caught my eye was the Pimm’s tent, but at £14 for a jug/pitcher of Pimm’s…it was a bit steep. Otherwise it was nearly £4 for a plastic cup. Ouch! I carried on walking to the RAF village. It was pretty much the same as last year. They had the same food things, but I managed to find a stand that sold filled baguettes, with salad! The crowd was getting to me, so I went to my spot and had my lunch and people watched for a little while before the rain started. While I was under shelter, Jim, the man who had my spot yesterday (it was no problem as the spot next to him was just as good!) turned up again. I also recognised the old gentleman sitting next to me from last year! We had a nice chat about that and other things. 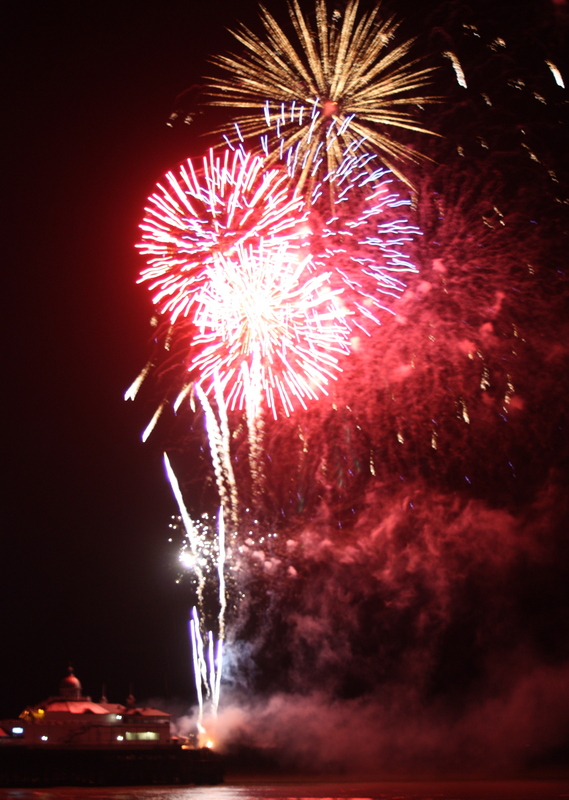 It stopped raining before the first display came on. Jim asked me how my photos came out yesterday and I explained that they were a bit dark and I was new to using my camera. Jim had the same came camera as I did, so he showed me how to set it for cloudy/grey conditions! He was my camera buddy for the day. Jim’s wife was sitting below us and taking photos with what at first looked like a mobile phone, but was a very slimline camera. It was also pink! 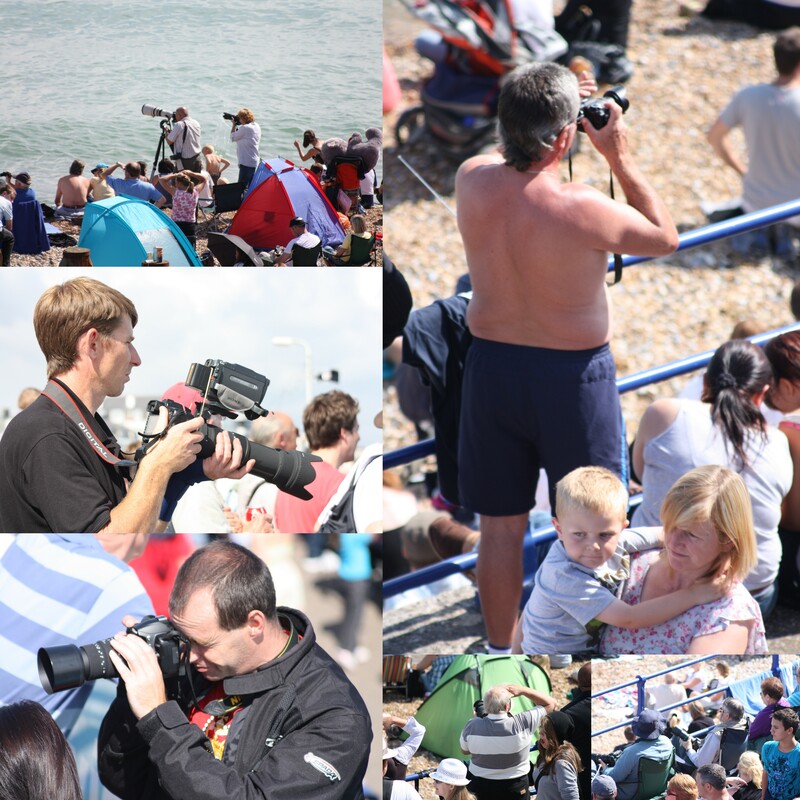 It turns out that Jim belongs to The Eastbourne Photographic Society. I was thinking of joining that as there is no dancing on a Friday night, but now I am definitely going to join. I want to learn more about photography and using my camera. What better way than with other people who already know how or want to learn also? They also give talks at other nights of the week on special topics. It could be really fun! I didn’t take as many photos as yesterday, but I think the quality of the photos are better. Thanks Jim! 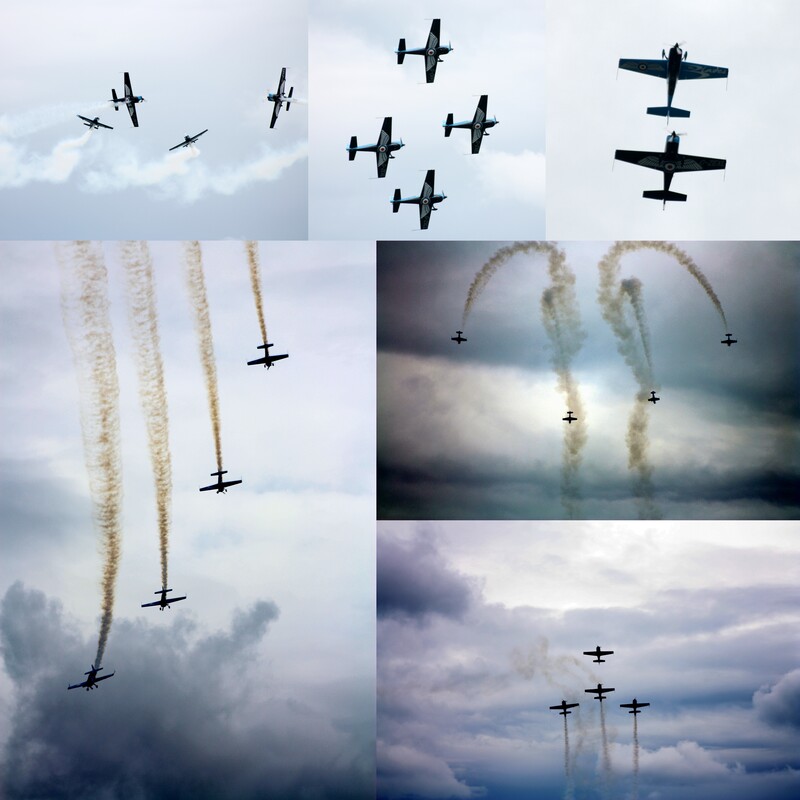 I have put them in collages so you can see different views of the planes. 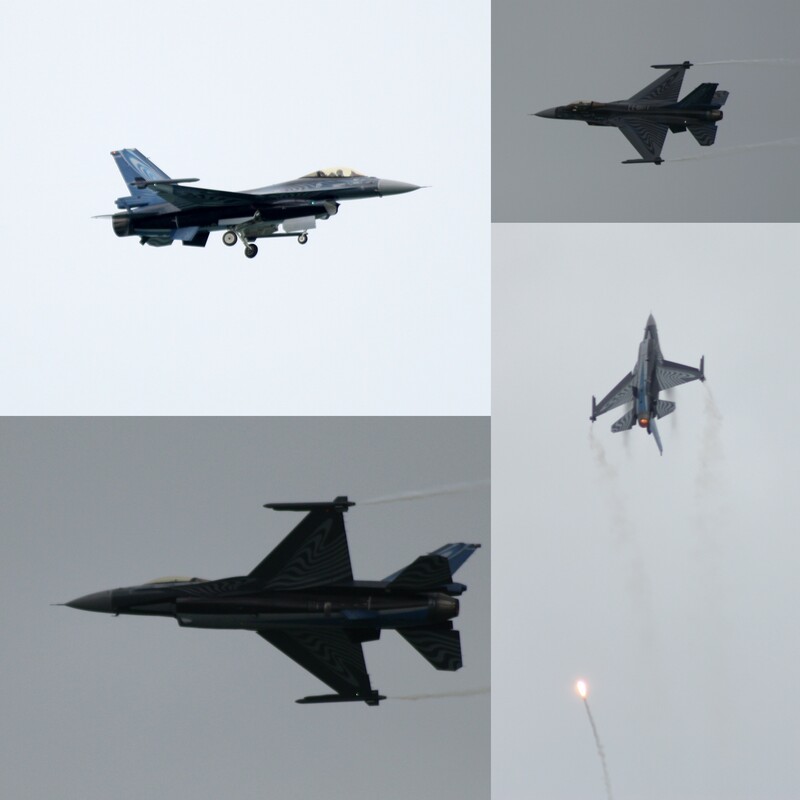 I am just going to post them here in the order they appeared, which was slightly different from the schedule because of the weather. 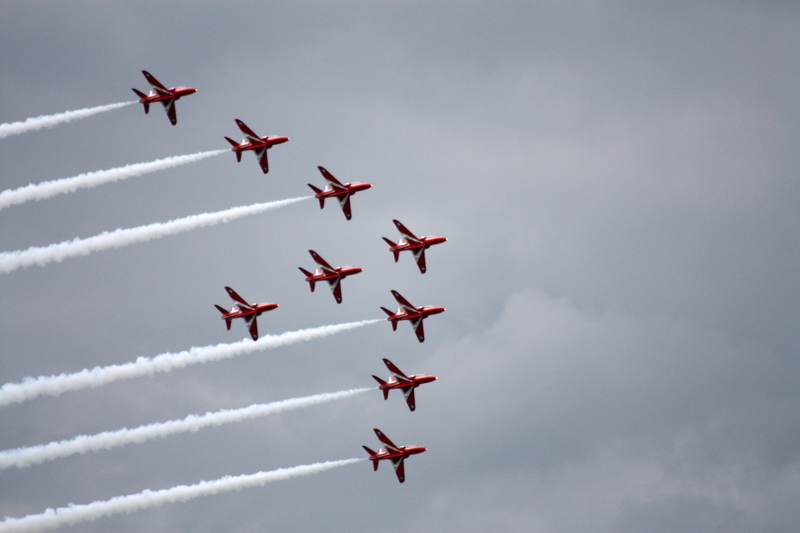 I only stayed until The Red Arrows finished even though the displays carried on until nearly 8pm. I could hear them from my house! Especially the Typhoon! I am hoping the weather will be better tomorrow. 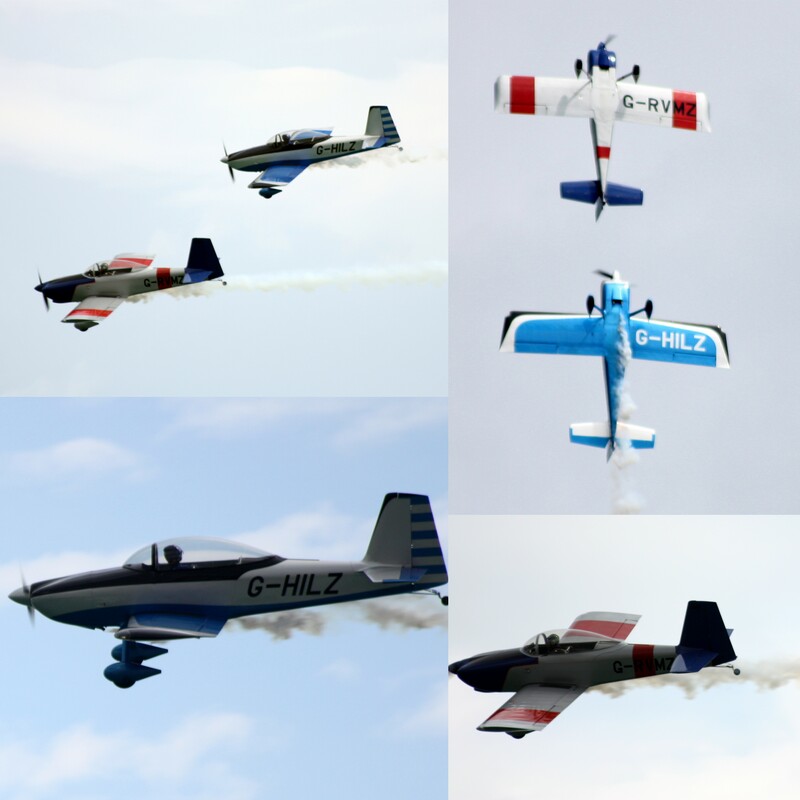 Today is the start of Airbourne 2010 – Eastbourne’s International Airshow. I went for the first time last year when I was just visiting Amor. Now that I live here, I can go every day. 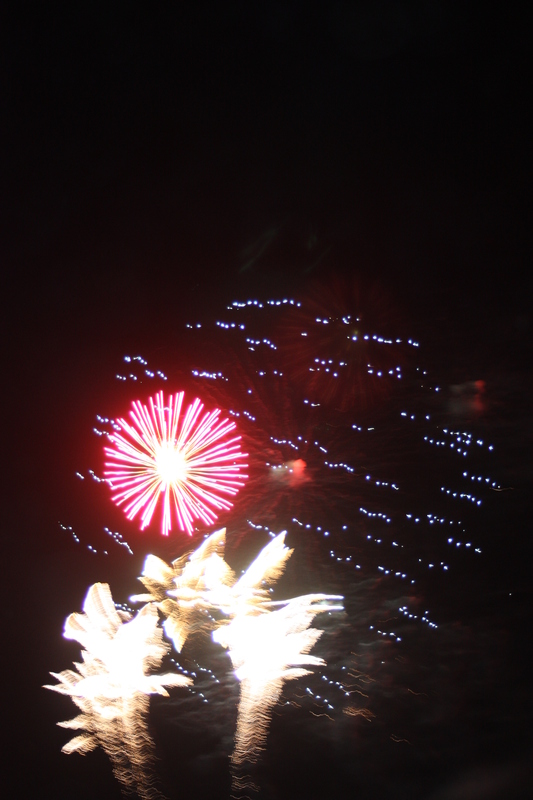 I also got a new digital camera at Christmas and I wanted to try it out. There is a function on it where I can take multiple shots, which is a huge improvement on my last camera. 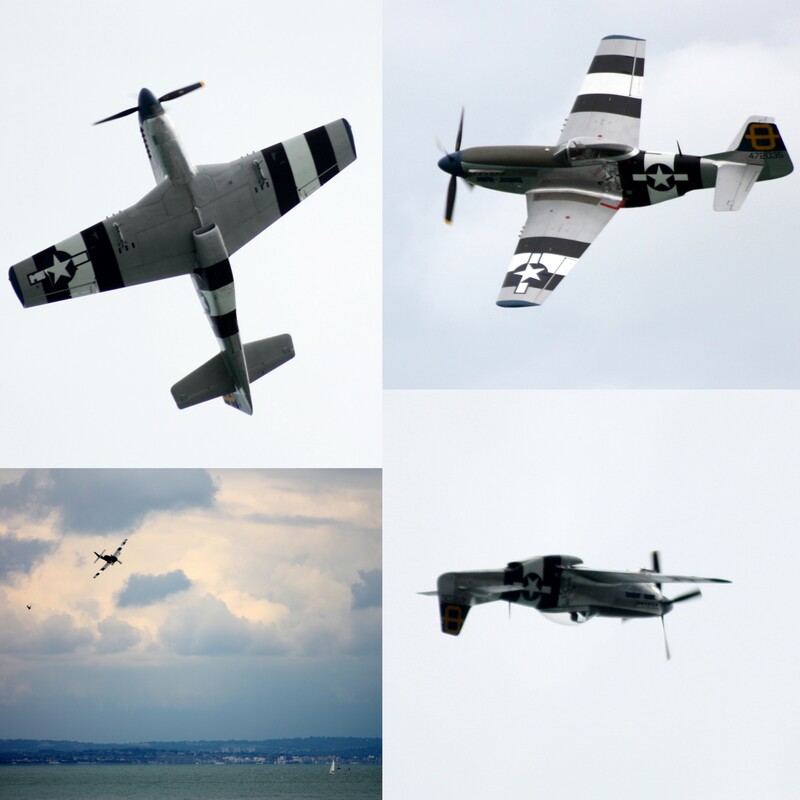 Some of those planes fly so fast you could easily miss taking a photo of them. I took over 1000 photos today! I am going to try to make a few videos of the photos. I was trying to do that earlier, but it was getting late and I wanted you all to at least see a little of something that I saw today. The weather started out sunny and warm, but it became overcast for most of the afternoon from around 11:30am. 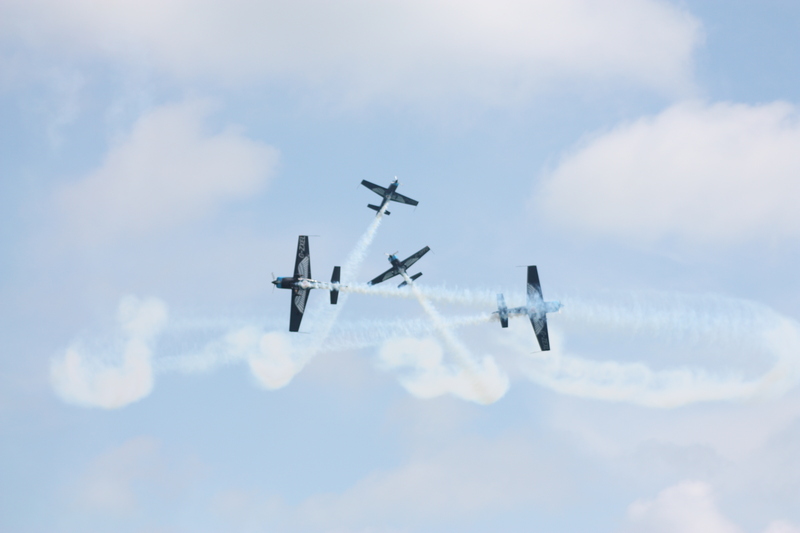 This meant that the planes had to keep their displays low and were not able to do some of their most dramatic displays. 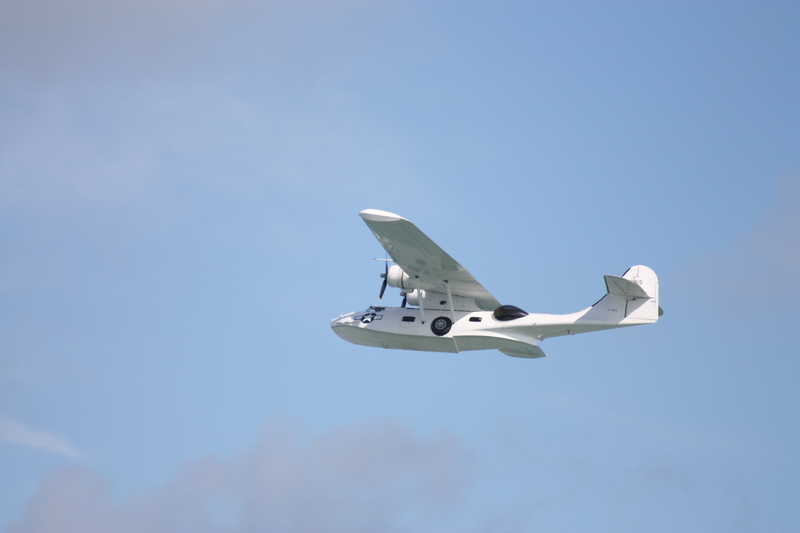 The upside to this was that because they were in low, I was able to get some really good photos. I also made a new friend today, Nick, a retired policeman who restores old motorcycles! He is 77 years young and still rides them! We compared notes on our shots. He had a new camera also. It was nice to have someone to chat with on a lovely afternoon for a few hours. 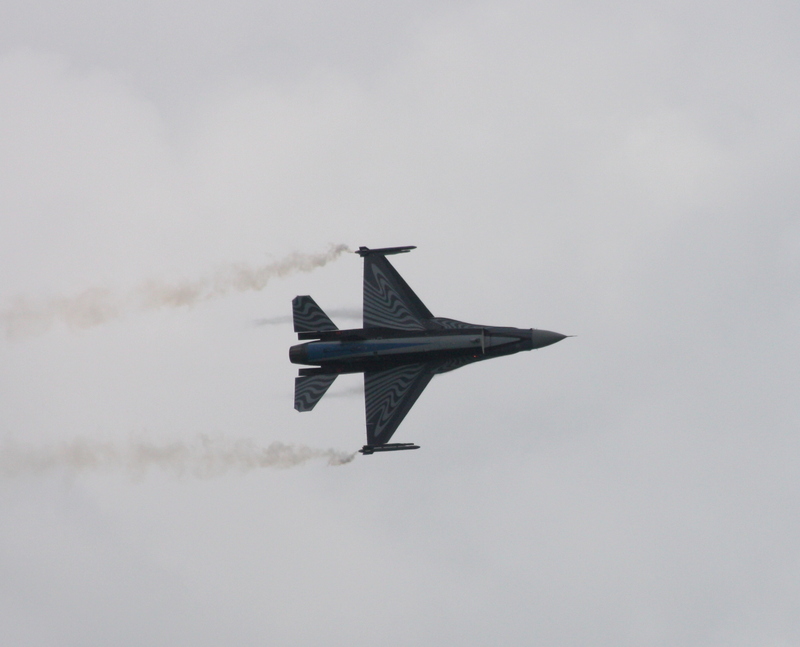 The first plane flying past was the Eurofighter Typhoon. 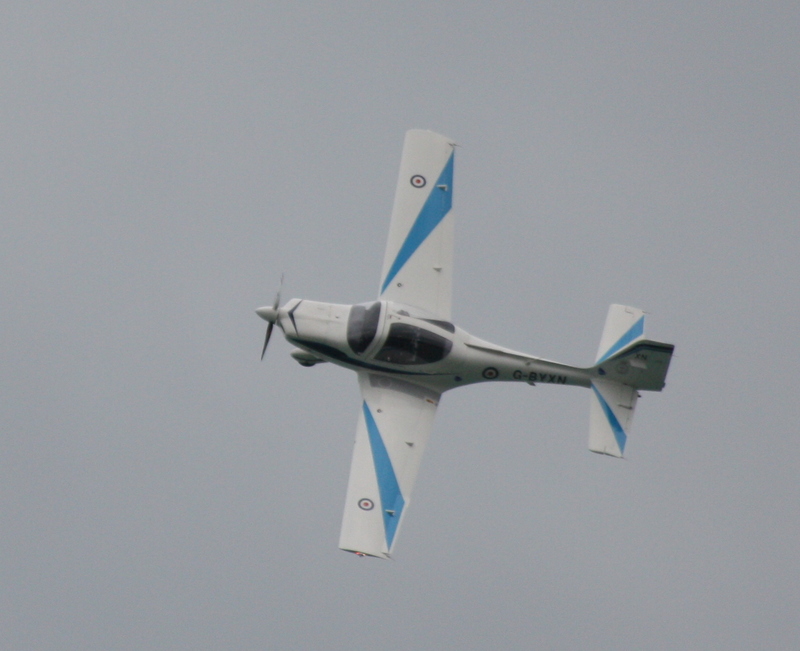 It was so fast and not very close, so I didn’t get any great photos. 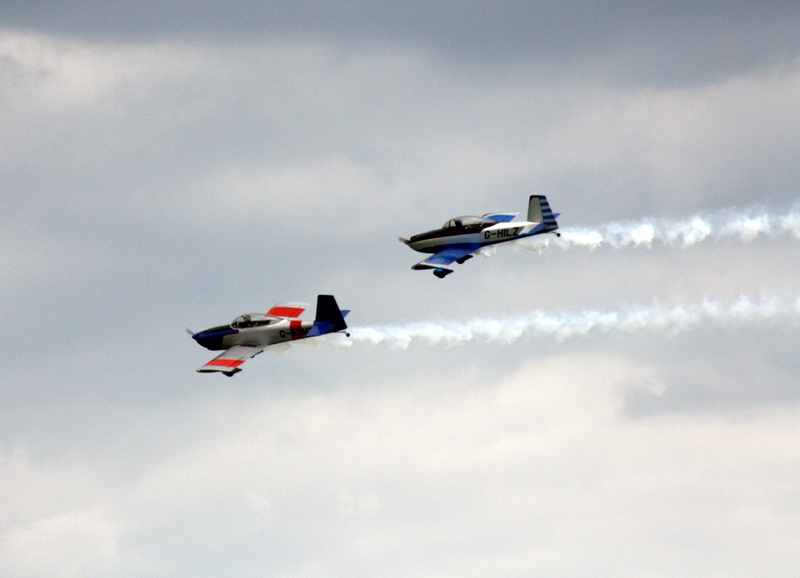 The first to display were the Red Arrows. 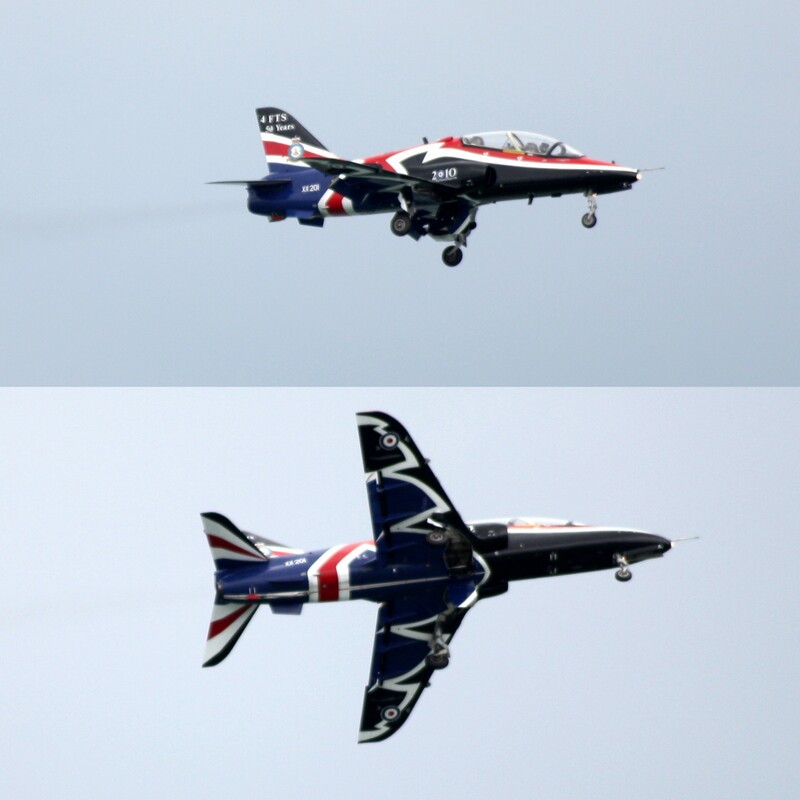 They are The Royal Air Force Aerobatics Team and are considered to be one of the world’s premier aerobatic teams. Next up was the Tutor TI. 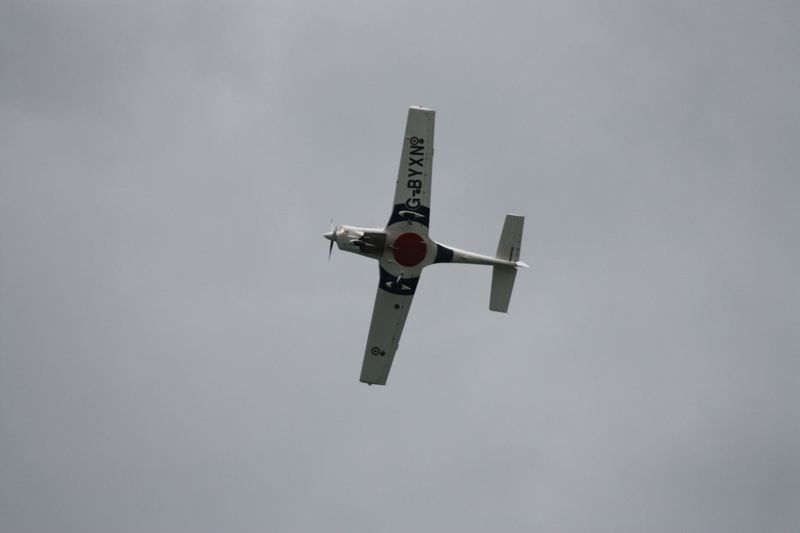 This plane is used for Elementary Flying Training by the 14 University Squadrons and 12 Air Experience Flights throughout the UK. 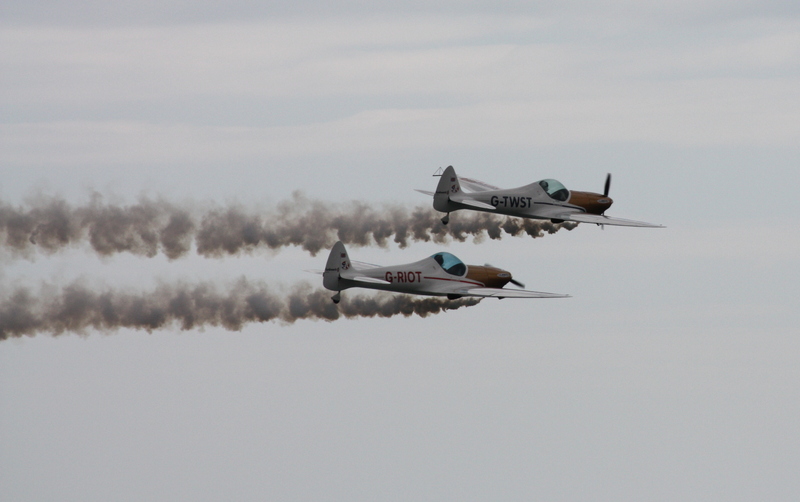 Then we had The Blades. 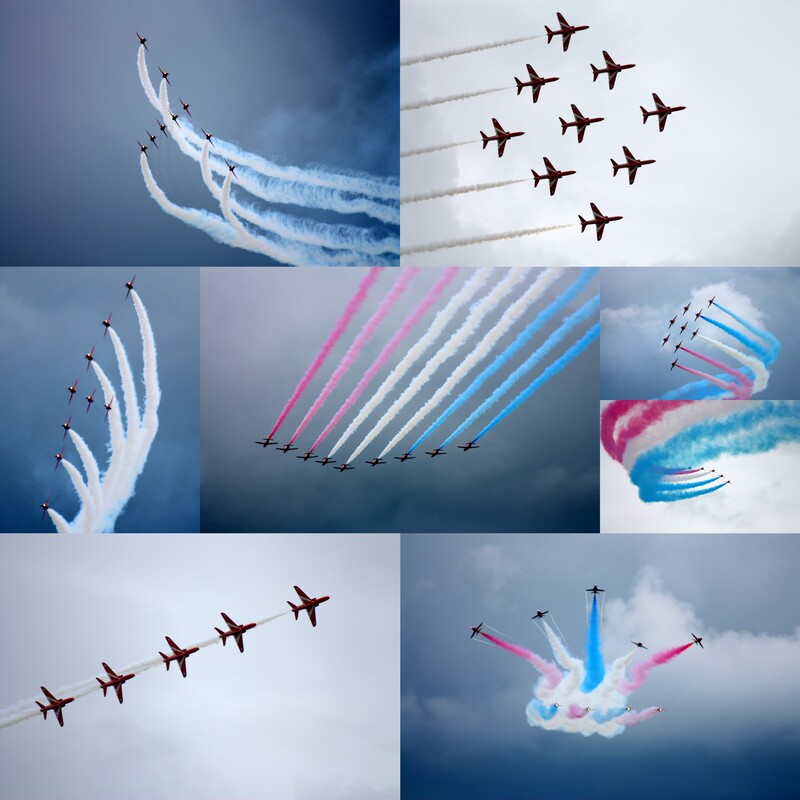 The Blades are the UK’s only full-time civilian aerobatics team and all of the pilots are former Red Arrows. 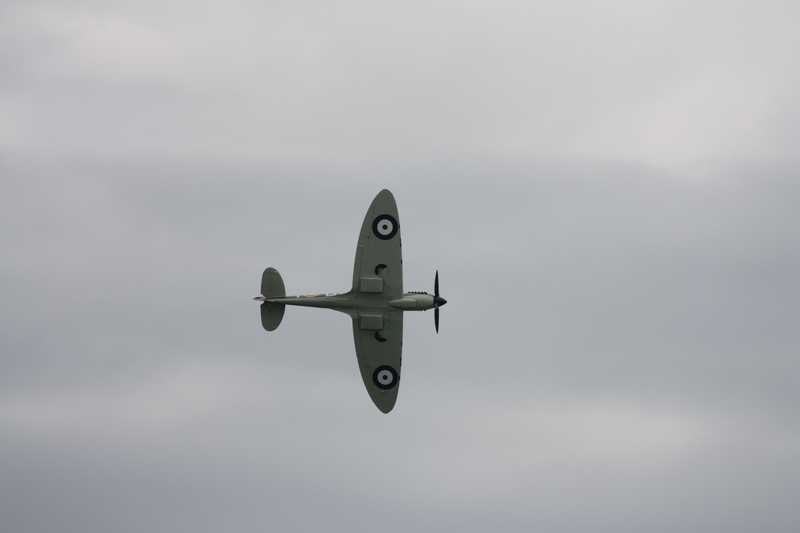 Following The Blades came The Spitfire. 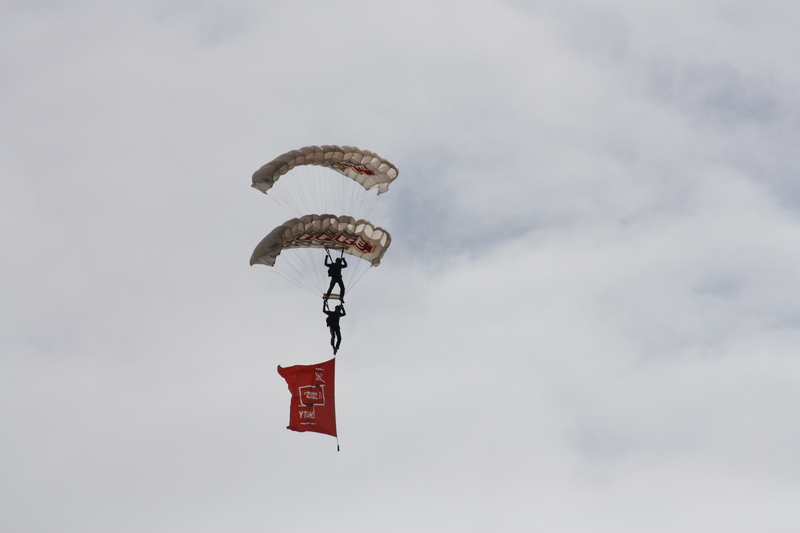 Next came The Tigers Parachute Display Team. 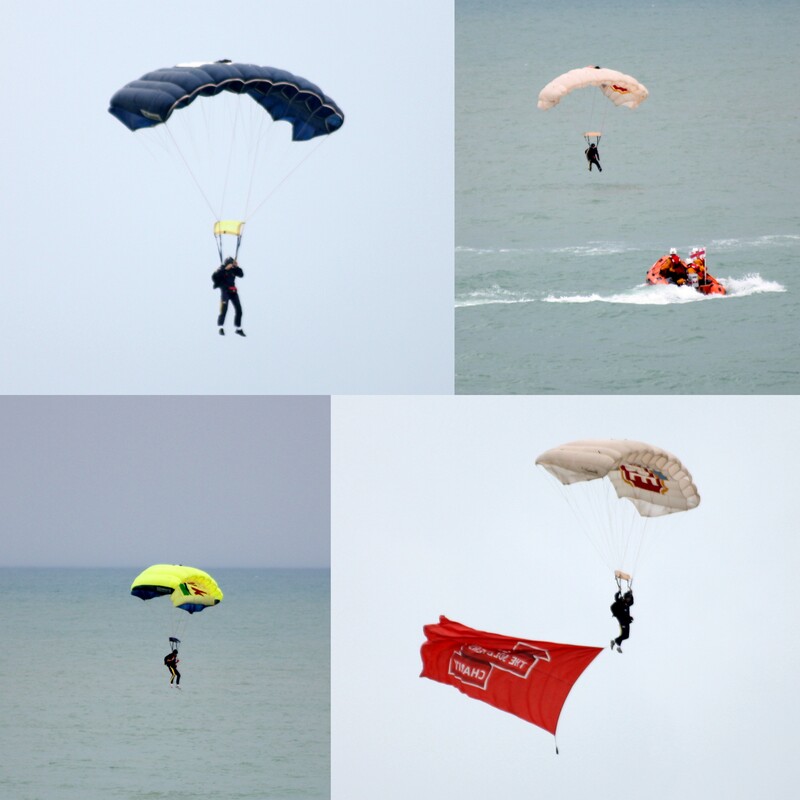 The team has over 20 years experience, and are highly recognised as one of the leading parachute display teams in the UK. 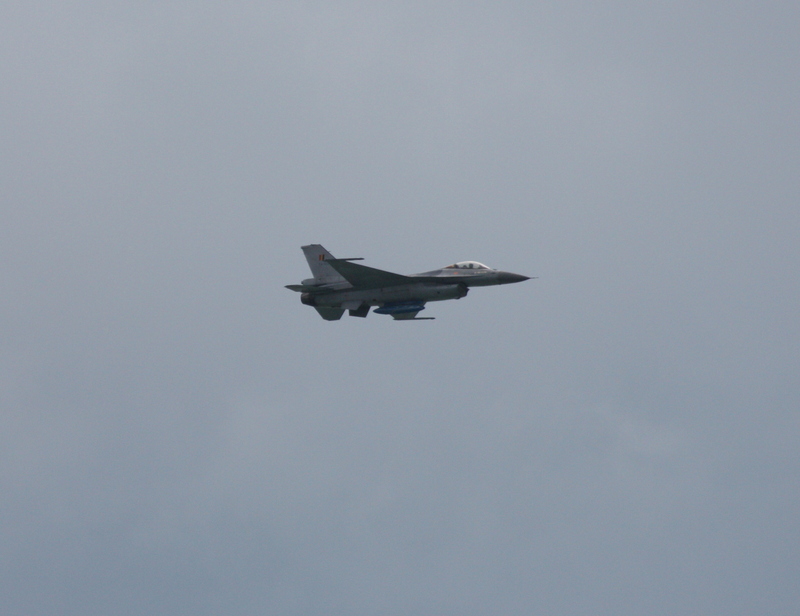 Then we had the F-16 Fighting Falcon. 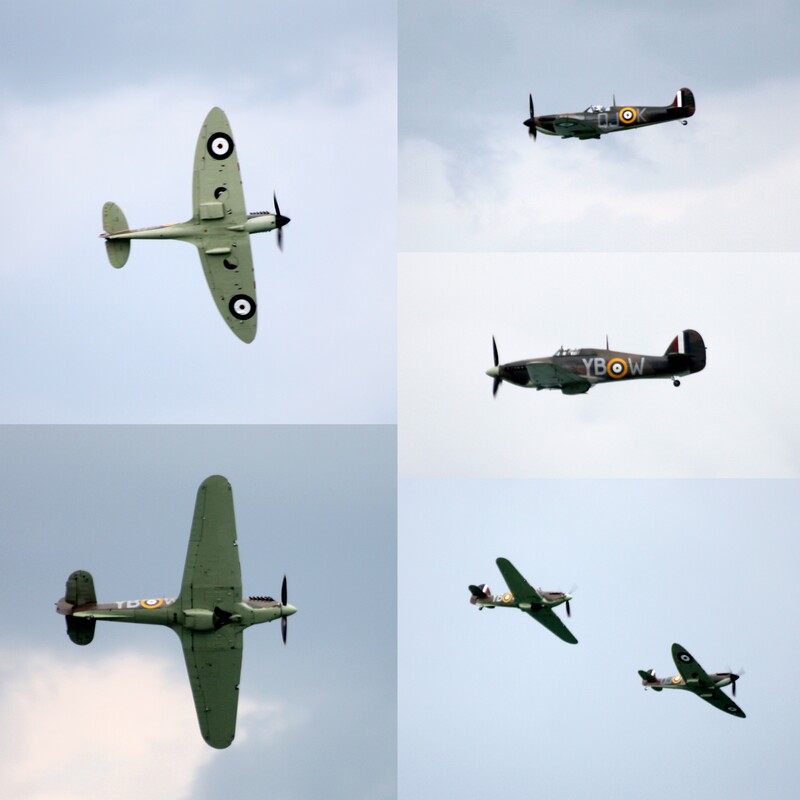 Next up was The Battle of Britain Memorial Flight. 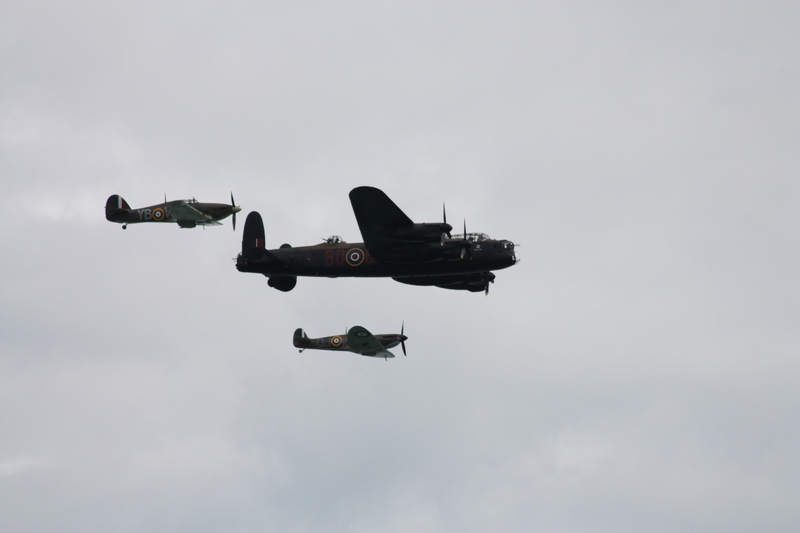 This consists of a Spitfire, Hurricane and Lancaster. 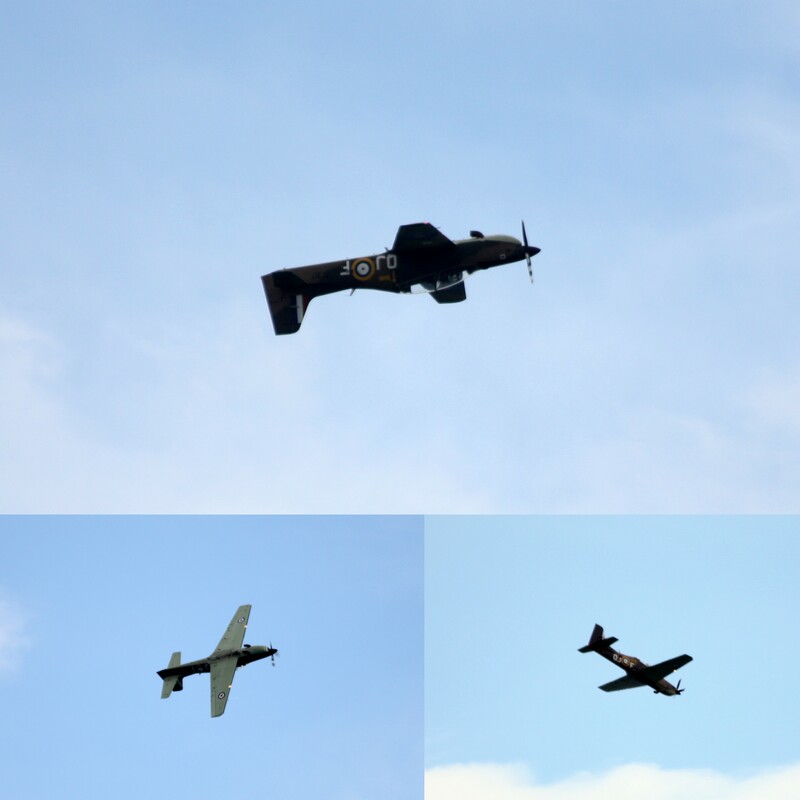 On Saturday, the 14th of August, there will be a re-enactment between the Spitfire and Buchon Messerschmitt 109 in an attack on a pleasure boat. Not to be missed! 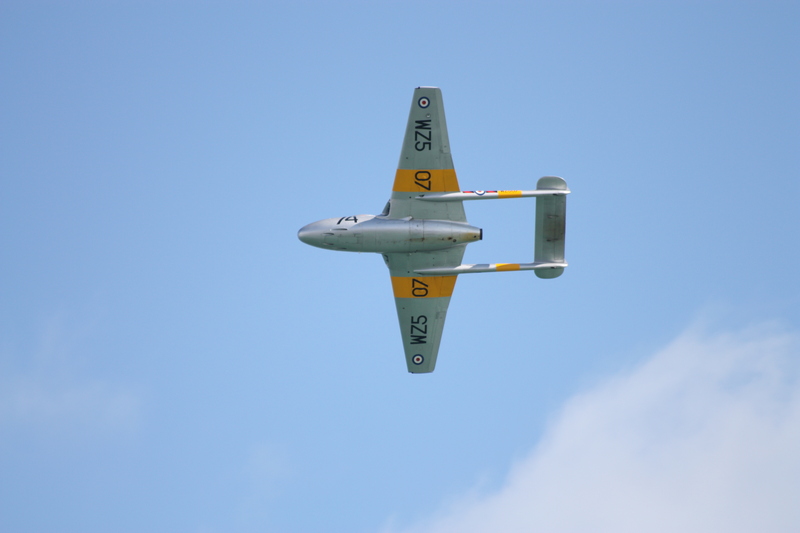 Then we had the Swift Glider Team. They were quiet and stealthy. 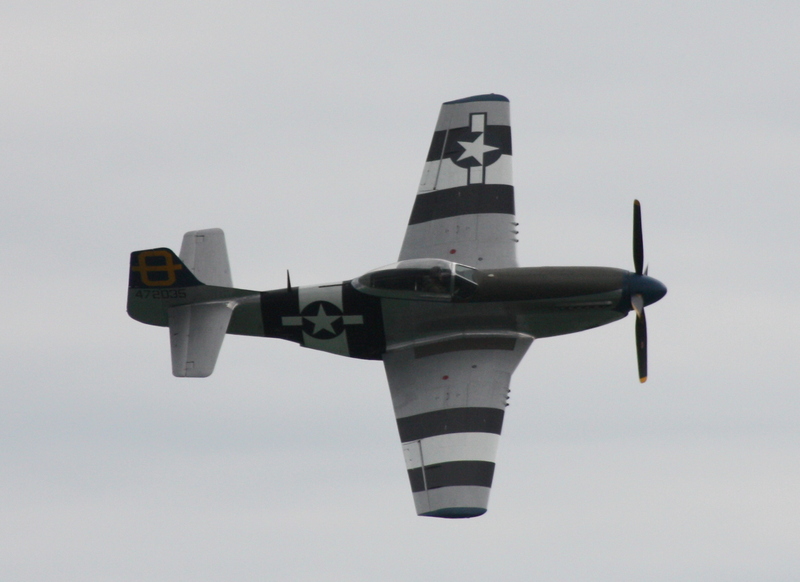 Next came the P-51 Mustang. 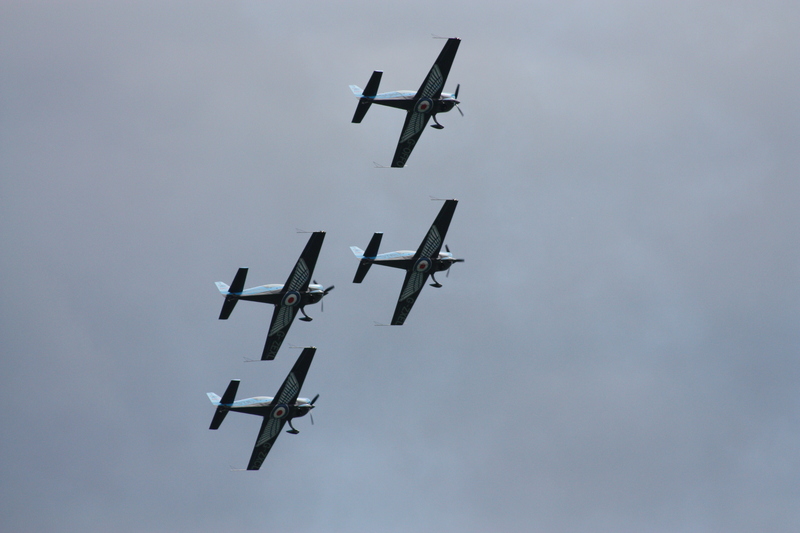 After that came the RV-8tors. I haven’t heard of them before, but they put on a good display. 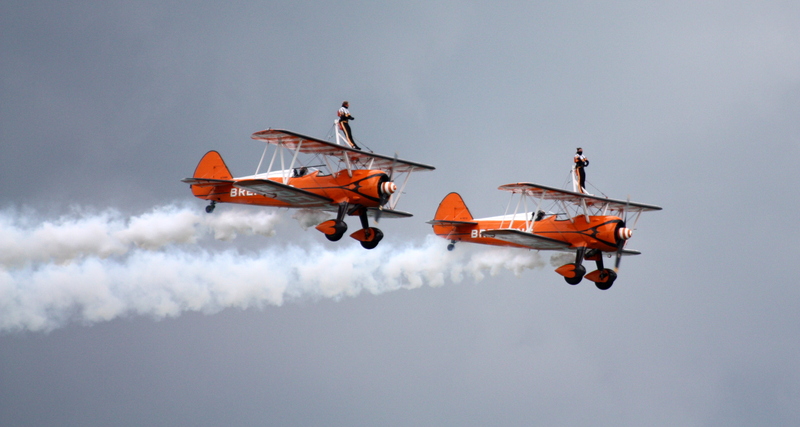 And last, but not least, we had those crazy ladies, The Breitling Wingwalkers. 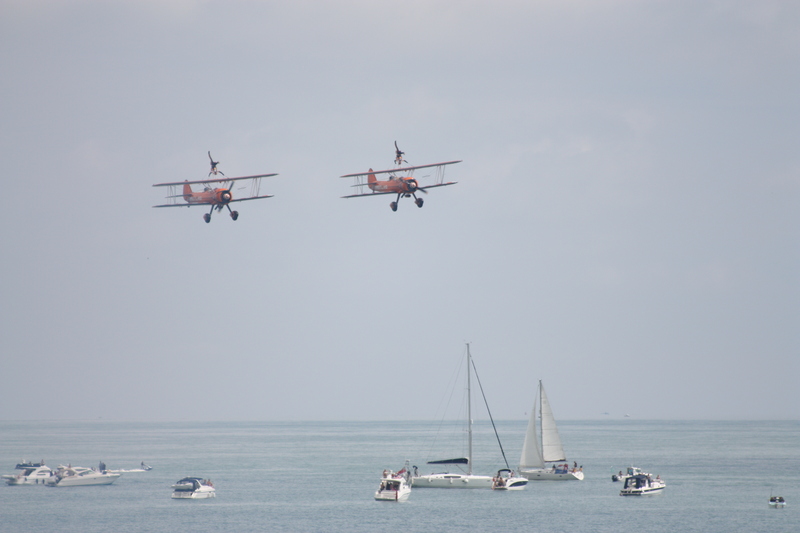 (Last year they were the Guinot Wingwalkers. Looks like they have a new sponsor!) 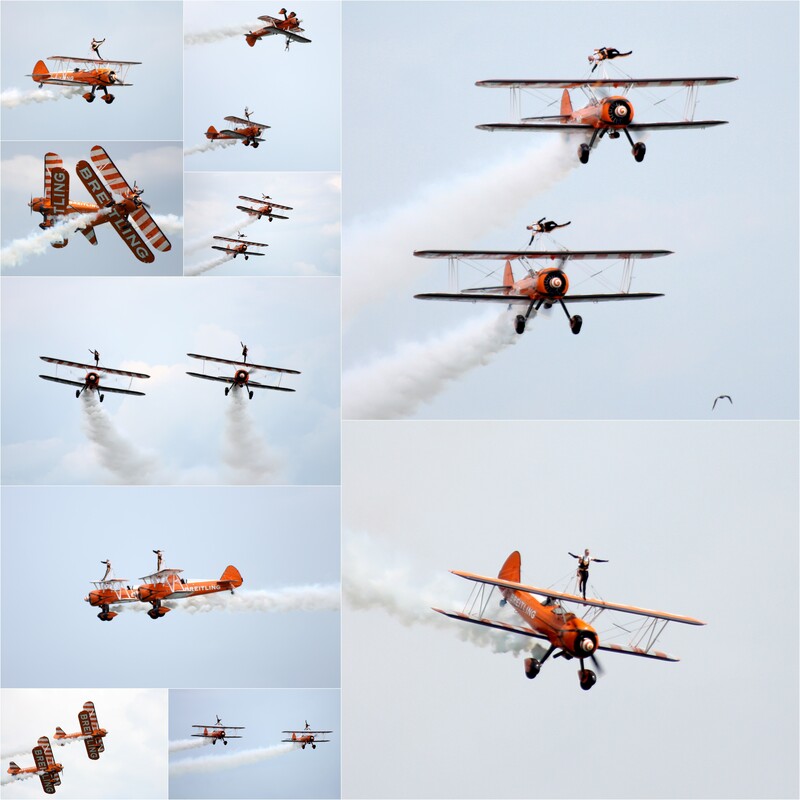 Apparently they are the world’s only formation wingwalking team. Wouldn’t catch me up there! That covered about 2.5 hours of flying. 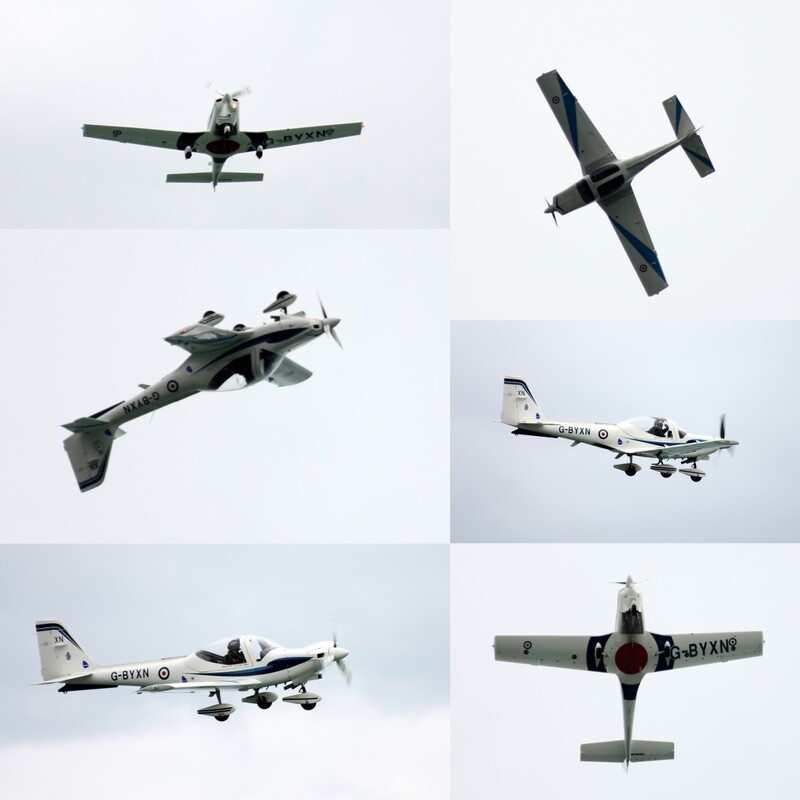 There are other things to do if you are not interested in planes. There are plenty of stalls to visit, there is live music, things for kids, etc. I think tomorrow I will have a wander around this time and check out the activities, unless it is hot and sunny. I have a spot picked out on the beach!